May Mary free us from the “perversion” of clericalism, make us good pastors and have us not fear holiness nor spending our lives for our people…. 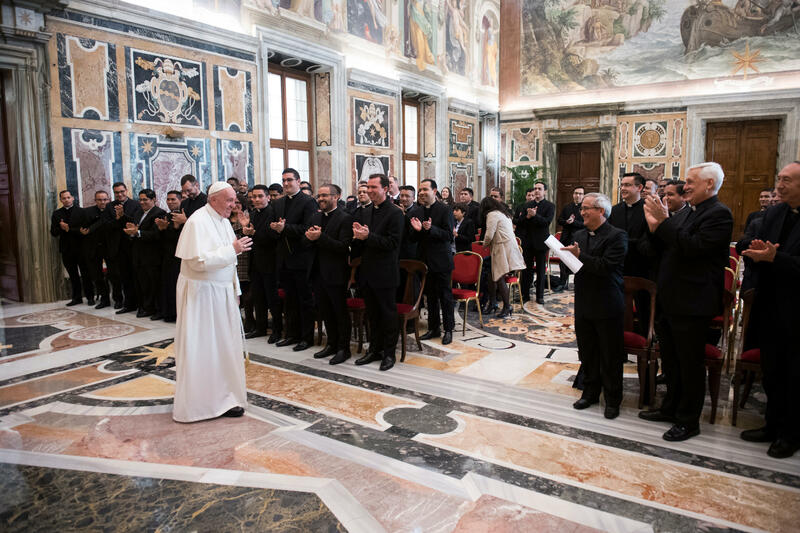 Pope Francis made these points when addressing the community of the Pontifical Latin American College for the 160th anniversary of its founding. “Do not fear holiness, and do not fear spending your life for your people,” the Pontiff appealed. On the path, the Argentine Pope reminded, we are not orphans: Our Mother accompanies us. “She wanted to be like that, mestizo and fertile, and that is how she is with us, our Mother of tenderness and strength who rescues us from the paralysis or confusion of fear, just because she is simply there, as our Mother,” he said. I am happy to meet you and join in the thanksgiving for the 160 years of life of the Pontifical Latin American College. I thank the rector, Fr. Gilberto Freire, S.J., for his words on behalf of the entire priestly community and the lay collaborators that make possible, with their daily work, the life of the residence. Perhaps the most notable characteristic of your College is its Latin American character. It is one of the few Roman Colleges whose identity does not refer to a nation or a charism, but which seeks rather to be the meeting place, in Rome, of our Latin American land – the Great Homeland as our heroes liked to dream. In this way the College was dreamed of, and in this way it is loved by its bishops who give priority to this house, offering you, young priests, the opportunity to create a vision, a reflection and an experience of communion that is expressly “Latin Americanized”. One of the phenomena currently afflicting the continent is cultural fragmentation, the polarization of the social fabric and the loss of roots. This is exacerbated when arguments are fomented that divide and propagate different types of confrontations and hatred towards those who “are not one of us”, even importing cultural models that have little or nothing to do with our history and identity and that, far from combining in new syntheses as in the past, end up uprooting our cultures from their richest autochthonous traditions. New generations uprooted and fragmented! The Church is not external to this situation and is exposed to this temptation; since she is subject to the same environment, she runs the risk of becoming disoriented by falling prey to one form of polarization or another, or becoming uprooted if one forgets that the vocation is a meeting ground. The invasion of ideological colonization is also suffered in the Church. Hence the importance of this time in Rome and especially in the College: to create bonds and alliances of friendship and fraternity. And not because of a declaration of principles or gestures of goodwill, but because during these years you can learn to know better and make your own the joys and hopes, sorrows and anguish of your brothers; you can name and face specific situations that our people live, and face and feel your neighbour’s problems as if they were your own. The “Pio” [Colegio Pio Latinoamericano] can help create an open and creative, happy and hopeful priestly community, if one knows how to help oneself, if one is able to lay down roots in the lives of others, brothers and sons with a common history and heritage, part of a same presbytery and the same Latin American people. A priestly community that discovers that the greatest strength it has to build history is born of the concrete solidarity among you today, and will continue tomorrow between your churches and peoples to be able to transcend the merely “parochial” and to lead communities that know how to open up to others to interact and to promote hope (see Apostolic Exhortation Evangelii gaudium, 228). Our continent, marked by wounds both old and new, needs artisans of relationship and communion, open and trusting in the novelty that the Kingdom of God can inspire today. And you can start to develop this from now on. A priest in his parish, in his diocese, can do a lot – and this is fine – but he also runs the risk of burning himself out, of isolating himself or harvesting for himself. Feeling part of a priestly community, in which everyone is important – not because it is the sum of people living together, but because of the relationships they create, this feeling part of the community – can awaken and encourage processes and dynamics capable of transcending time. This sense of belonging and recognition will help to creatively unleash and stimulate renewed missionary energies that promote an evangelical humanism capable of becoming intelligence and a driving force in our continent. Without this sense of belonging and work hand in hand, on the contrary, we will disperse, we will weaken and, worse still, we will deprive so many of our brothers of the strength, the light and the consolation of friendship with Jesus Christ and of a community of faith that gives a horizon of meaning and life (see Apostolic Exhortation Evangelii gaudium, 49). And so, little by little, and almost without realizing it, we will end up offering Latin America a “God without a Church, a Church without Christ, a Christ without a people” (Homily during Mass at Santa Marta, 11 November 2016) or, if we want to put it another way, a God without Christ, a Christ without a Church, a Church without a people … pure re-elaborated Gnosticism. Our continent has managed to capture in its tradition and in its memory a reality: the love of Christ and of Christ can not manifest itself except in passion for life and for the destiny of our peoples, and especially solidarity with the poorest, the suffering and those in need. This reminds us of the importance, dear brothers, in order to be evangelizers with soul and of the soul, so that our life may be fruitful and renewed with the passing of time, of developing the pleasure of always being close to the life of our people; never isolating ourselves from them. The life of the diocesan presbyter is lived – the repetition is valid – in this identification and belonging. The mission is passion for Jesus, but at the same time, it is passion for His people. It is learning to look where He looks and to let ourselves be moved by the same things He is moved by: feelings for the life of His brothers, especially sinners and of all those who are despondent and fatigued, like sheep without a shepherd (cf Mt 9: 36). Please, do not huddle in personal or community enclosures that keep us away from the hubs where history is written. Captivated by Jesus and members of His Body, we integrate fully into society, share life with everyone, listen to their concerns … rejoice with those who are happy, mourn with those who mourn and offer every Eucharist for all those faces that were entrusted to us ( see Apostolic Exhortation, Evangelii gaudium, 269-270). Hence, we it is providential to be able to link this anniversary with the canonization of Saint Oscar Romero, former student of your institution and living sign of the fruitfulness and sanctity of the Latin American Church. A man rooted in the Word of God and in the hearts of his people. This reality allows us to make contact with that long chain of witnesses in which we are invited to place our roots and take inspiration from every day, especially in this time while you are “away from home”. Do not fear holiness, and do not fear spending your life for your people. On the path of cultural and pastoral miscegenation we are not orphans; Our Mother accompanies us. She wanted to be like that, mestizo and fertile, and that is how she is with us, our Mother of tenderness and strength who rescues us from the paralysis or confusion of fear, just because she is simply there, as our Mother. Brother priests, let us not forget, and confidently ask her to show us the way, to free us from the perversion of clericalism, increasingly to make us “village pastors” and not to let us become “clerics of the state”. A final word for the Society of Jesus – the presence of its General and the Jesuits who are here – who from the beginning have accompanied the journey of this House. Thank you for your work and your commitment. One of the distinctive notes of the Society’s charism is seeking to harmonize contradictions without falling prey to reductionism. This is why Saint Ignatius wanted to think of the Jesuits as men of contemplation and action, men of discernment and obedience, committed to daily life and free to leave. The mission that the Church places in your hands demands wisdom and dedication so that during the time in which the young men are in the House they can be nurtured by this gift of the Company, learning to harmonize the contradictions that life presents to them and present them without falling into reductionism, gaining in the spirit of discernment and freedom. Teach how to embrace problems and conflicts without fear; to handle dissent and confrontation. Teach how to reveal all kinds of “correct” but reductionist discourse is a crucial task for those who accompany their brothers in formation. 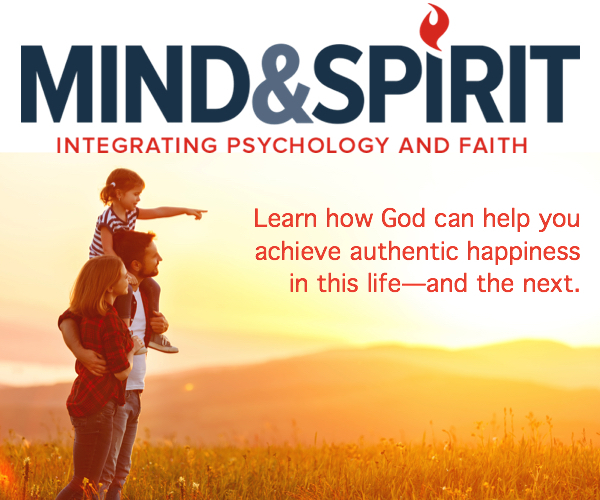 Help them to discover the art and taste of discernment as a way of proceeding to find, in the midst of difficulties, the ways of the Spirit by tasting and feeling the Deus semper maior within. Be teachers of broad horizons and, at the same time, teach how to take charge of the small, to embrace the poor and the sick, and to take on the reality of everyday life. Non coereceri a maximo, contineri tamen a minimo divinum est. Again, thank you for allowing me to celebrate with you the first 160 years of your journey. As I greet you, I would also like to greet your communities, your peoples, your families. And please, do not forget to pray, and have others pray, for me. Cf. S. Óscar Romero, IV Pastoral Letter – Mission of the Church in the midst of the crisis in the country (6 August 1979), 23. It is good to recall that “Two are better than one … If either of them falls down, one can help the other up. But pity anyone who falls and has no one to help them up” (Ecc 4: 9-10). Cf. Guzmán Carriquiry, Recapitulando los 50 años del CELAM, en camino hacia la V Conferencia, 31. Cf. J.M. Bergoglio, Meditaciones para religiosos, 93-94.